Lake Opeongo is the largest in Algonquin Park and the only access point is located at the south end. The first portages leading to popular canoe routes are located in the North and East Arms, at least a 16km (10 mile) paddle away. The average paddler could spend a day traveling this distance. A water taxi takes only 15 minutes, transporting you and your companions swiftly and safely to the other end of the lake, or your favorite campsite. 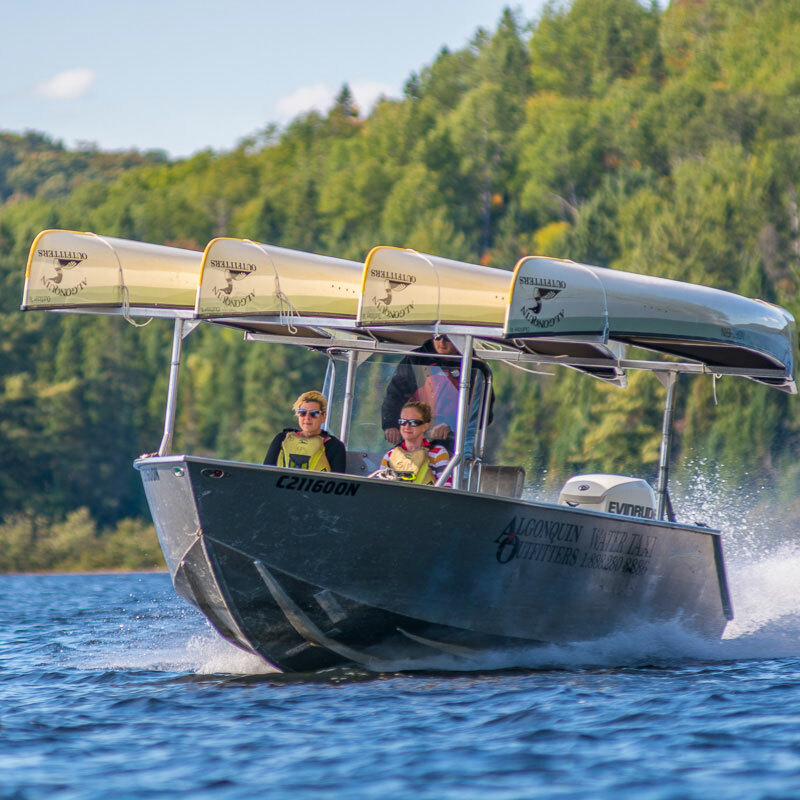 Explore our Lake Opeongo Water Taxi service.